In the world of business, sales experts suggest that “second money is easier than the first.” This means that once you get the initial sale, the follow up and upsell appears to be a piece of cake; compared to new customer acquisition. But, that’s not always true. In fact, if your second, third, and fourth offer aren’t as appealing as the initial incentive, you will lose your customer’s interest. You’ll constantly be fighting against their natural desire to ignore your message and instead, focus on other distractions. But, if you embrace the opportunity of SMS marketing, you can gain a competitive edge in your industry, and keep your customers interested and engaged. They will want to do business with you over and over again; and why? Because you consistently reward them for their loyalty. Here are a few ways you can use SMS marketing to get a one up in your industry and keep your customer relationships strong and current. Reward customers on their birthday with a no purchase necessary, no strings attached offer. If your product requires a bit of instructional hand holding, set up a drip marketing campaign that provides regular how tos. Let your subscribers be the first to know about important product updates, special deals, exclusive announcements, and more. Don’t waste time with less than average offers. 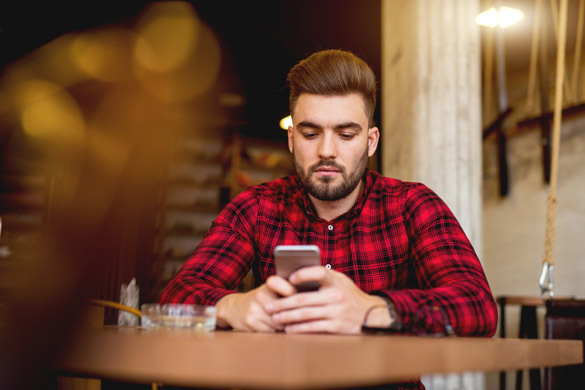 Text messaging is an incredibly personal communication tactic, so if you fail to respect this opportunity, you’ll lose it. Grow with an SMS marketing service that strives to be an innovative industry influencer and reliable mobile leader. Give us a ring at 1.800.688.6290 to learn more, or head over to our pricing page and sign up for a free plan. The bonus to working with Slick Text? We’re committed to working with you until you get the exact results you’re looking for.